How Can a Debt Collection Lawyer Help My Business? Home/Debt Collection/How Can a Debt Collection Lawyer Help My Business? Chances are if you hold or operate a business in St. Petersburg, someone owes you money. You were generous and trusting enough to extend your services prior to receiving payment, but alas, it is months past the due date and they still have not provided the full amount due. 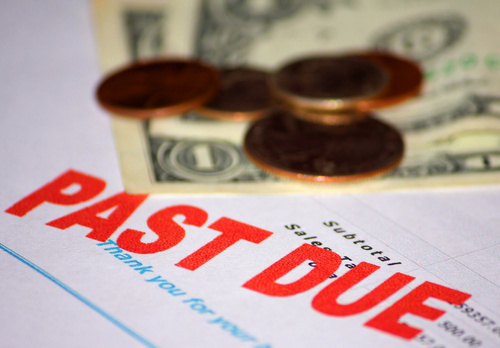 When you run into problems such as this, a debt collection lawyer can step in on your behalf to make sure that you receive what you are rightfully owed. You may be wary or hesitant at the idea of hiring a debt collection lawyer to help you recover outstanding accounts. This is reasonable, as you do not want to seem ruthless or unforgiving. However, you do not want to forgive one or two missed bills, because others will expect it as well, and soon, your St. Petersburg business may be declaring bankruptcy thanks to the loss of income. This is where a debt collection lawyer can help. An experienced attorney can help you devise a plan to get the money you are due. There may be multiple strategies planned, as one may not work out, but in the end, it is the attorney’s job to make sure you get your compensation. They can also attend court for you, handle the paperwork and filings, and they provide an insider’s knowledge and skillset to your case. Not all St. Petersburg business owners have had to hire such services in the past, so figuring out how to find the best attorney for your needs may require a bit of research. The first thing you should do is just that: your research. Look up a list of potential firms and leaf through the information available. Do they offer all of the services you need? How big is the firm? Will someone personally be able to handle your case? How long have you been assisting with debt collection? Have you dealt with situations similar to mine? If so, how did they turn out? Will I have to pay if, for whatever reason, the outstanding payment is not collected? Questions like these can help you ascertain whether you are working with the right individual for your case. Call Bowden Barlow Law, P.A. When you need a successful and hard-working firm of debt collection lawyers in St. Petersburg to help you from start to finish, Bowden Barlow Law has your back. We fight for our clients to make sure that they are compensated for outstanding payments that are rightfully theirs. To learn more about our firm or to set up a consultation, call us today at (727) 323-4719.